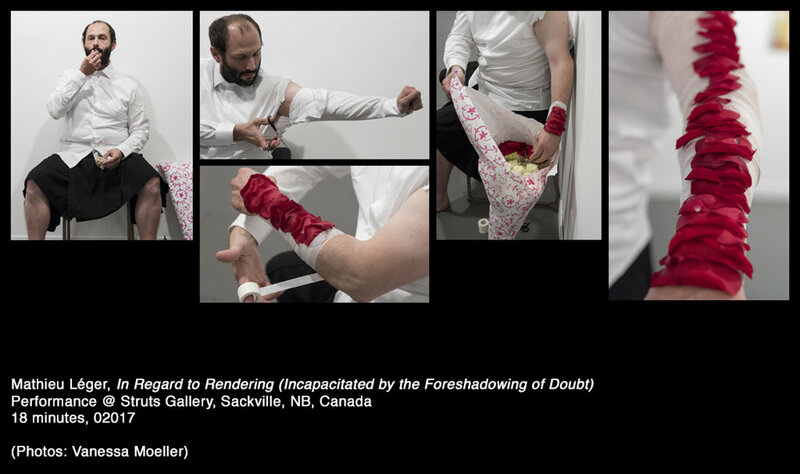 Presented at multiple events, including PERFform 17 & 19 (New Brunswick, Canada), 4th International Performance Art Weekend Berlin 2017 (Berlin, Germany), Fonderie Darling Place Publique 2018 (Montreal, Canada), Acadie Rock 2018 (Moncton, Canada). 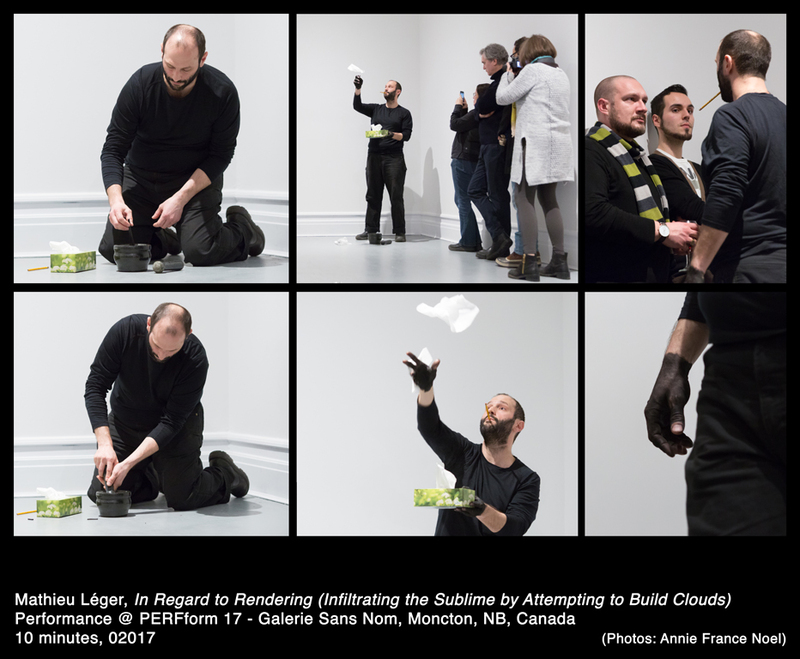 In Regard to Rendering is an exploration into how we attach meaning to space through the use of processes and materials that refer to permanence, impermanence, and the potential between those states. I explore ideas of language, natural cycles, and material states of being through the suggestion of a mythology. In the piece The Seeming Impermanence of Orality, the artist carefully and slowly opens a box of wooden matches and puts one match into his mouth. He slowly closes the box, this action takes a few minutes. He then proceeds to try and light the match in the spectator’s hands using his mouth, followed by trying to light the match on the gallery walls. Once the futility of the activity becomes apparent, he places the match back into the box. 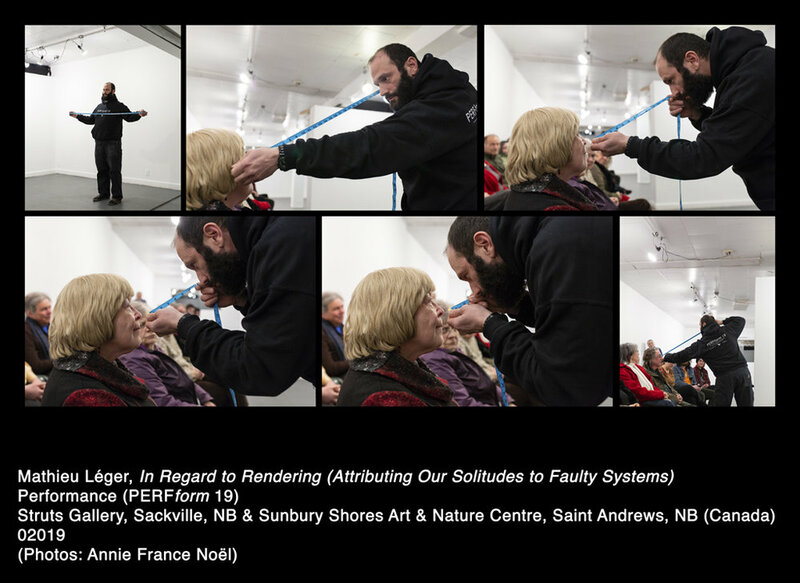 Attributing Our Solitudes to Faulty Systems is a performance about measuring our distances, comparing our differences in a social environment that has potentially faulty systems of comparison. 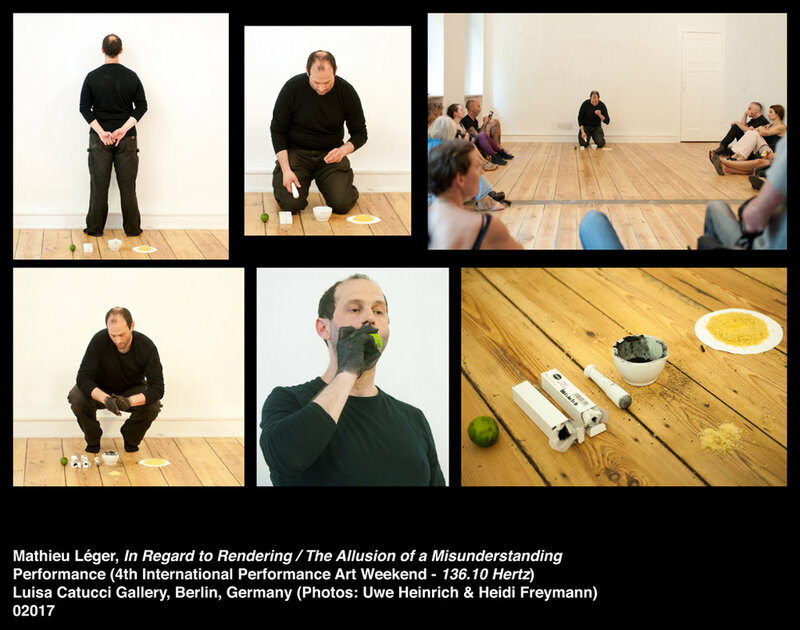 The performance Explaining Interspersed Punctuations to Mortals deals with the act of language transmission & communication. Language can germinate and evolve, like a flower. Flowers are also a gesture that is a language in itself, giving flowers always has a significance; a message is conveyed. The artist would like to acknowledge the support of Artsnb and the Canada Council for the Arts.